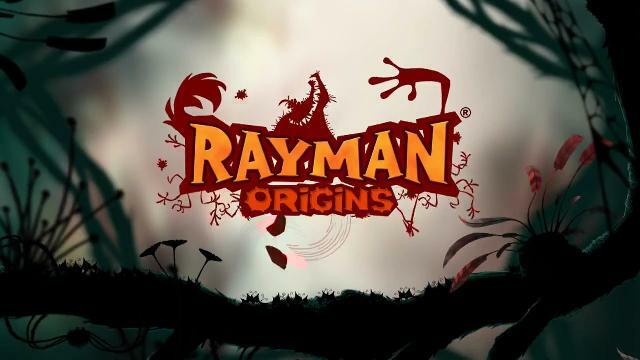 For Christmas I got my family, Rayman Origins, a video game we could play together. After opening presents and enjoying a nice breakfast on Christmas morning, my husband and I and our two teenagers arranged ourselves in front of the t.v. to play our new game. 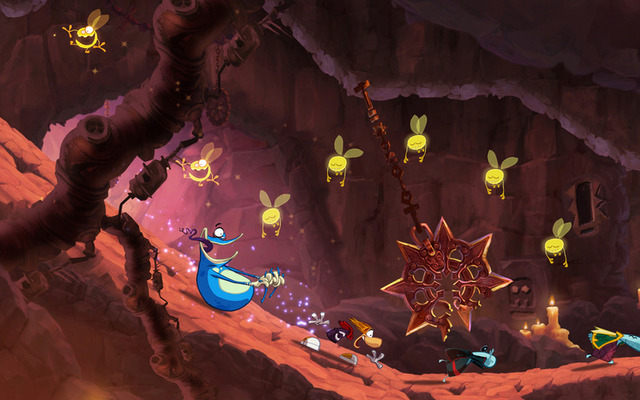 For four hours, we sat there helping Rayman and his friends fight off crazy looking creatures, free trapped fairies, and collect gold coins. Then after dinner we played again for a couple more hours. Even now, almost a week later, it continues to have a hold on us, as we play at least an hour or two each evening. So what is it about this game that draws us back day after day? As I thought about it, I realized it has to do with unlocking something new after we defeat a level and collect a certain amount of coins. We like the idea of exploring a place we haven't been to before, so there is always a carrot dangling out there in front of us. Because once we explore this new place, then another one opens up, then another and it just keeps going. Looking back at my 14-year writing career, I would say these are some of the same reasons I have stuck with writing for this long and why I look forward to continuing with it. When I first started out I had no idea what I was doing or where I was going (just like with our video game). I had come up with an idea for a children's picture book and wanted to get it published. I tried the traditional route and when that became a dead end, I went the self-publishing route. I collected many "gold coins" along the way by meeting lots of people and gaining new knowledge of this area of publishing. Once I reached a certain level of understanding, another door opened and I was introduced to a critique group (which I am still a part of). This multi-genre group of writers opened my eyes to many new aspects of writing, but the one that grabbed a hold was writing for magazines. This new door opened and I ventured in to explore. I felt like I was in a foreign land and everyone spoke a foreign language. But I hung out there, collected more "gold coins" and eventually enjoyed the success of publishing articles in a variety of different magazines. My success here, led to more doors opening and new levels to the "game" and throughout my 14 years it has worked out this way. I enter into an area I know nothing about, collect the knowledge I need through classes, books and conferences. I meet new people along the way and then find another new area to explore. This is what keeps me in the game; the idea that there is always something new to learn. These days with digital publishing, social media, the Internet and new developments with technology it feels like more than just a new level I need to master, but it feels like a whole new game. 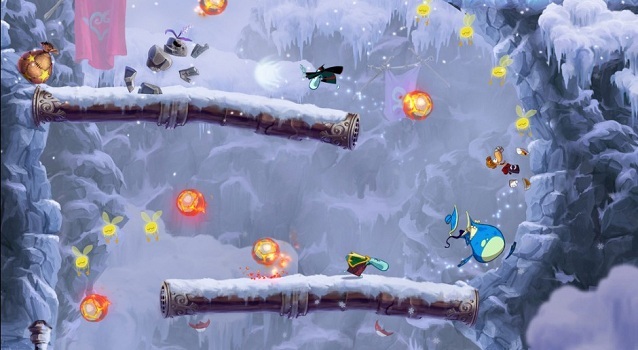 But, as I have done in the past decade with my writing and I am doing now with the Rayman video game, I will stick with it, collect all the gold coins I can and look forward to where it will take me. What "level" are you exploring now with your writing (essays, mystery writing, marketing...)? How is it going so far? I've just jumped a level in my blogging fun by signing on to do a series called "Three Authors, Three Questions" for Chiseled in Rock. I'm in the process today of contacting all kinds of authors from debut writers to the big names to invite them to participate. We'll see what happens. I'm still in the subteranean levels, slowly working my way up toward the bright blue sky, elevators, lifts, magical parachutes, etc. For now, it's shovels, rakes, and other basic tools, but I am learning to build steps instead of holes, and am collecting a few "gold coins" of my own. Pat, your new blog series sounds fun. Good luck. Dean, steps are much more helpful than holes. Keep building!